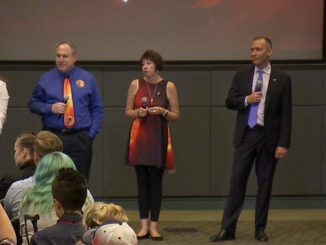 NASA held a pre-launch briefing for the Parker Solar Probe mission on Thursday, August 9, 2018, at the Kennedy Space Center. 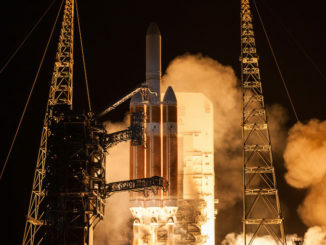 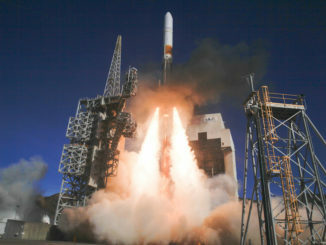 A United Launch Alliance Delta 4-Heavy rocket climbed into space Sunday with NASA’s Parker Solar Probe on a daring mission to explore the atmosphere of the sun. 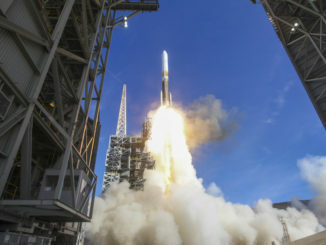 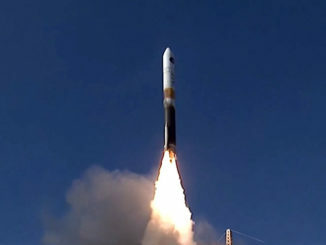 Liftoff from Cape Canaveral occurred at 3:31 a.m. EDT (0731 GMT). 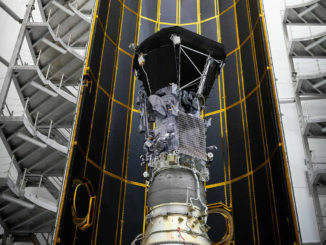 Ready for a journey into the sun’s enigmatic, scorching corona, NASA’s Parker Solar Probe has been encapsulated inside the nose cone of its Delta 4-Heavy rocket for liftoff Saturday. 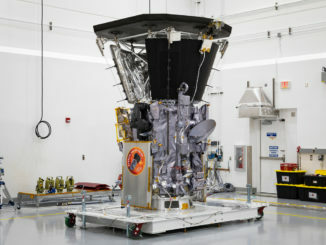 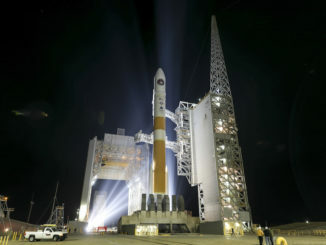 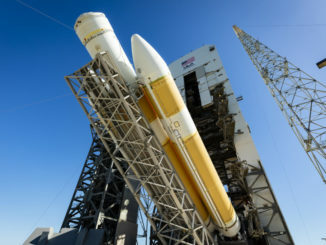 The launch of NASA’s Parker Solar Probe, on the verge of kicking off a seven-year mission culminating in passages through the sun’s atmosphere, has been delayed to Aug. 6 to resolve a technical snag encountered during encapsulation of the spacecraft inside the nose shroud of its United Launch Alliance Delta 4-Heavy rocket. 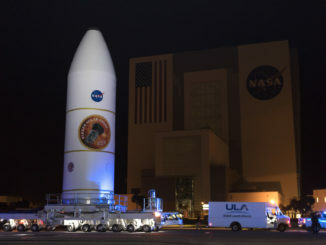 Gearing up for a predawn blastoff July 31, launch crews have positioned a Delta 4-Heavy rocket in the starting blocks on a seaside launch complex at Cape Canaveral as engineers inside a tightly-controlled clean room a few miles away put the final touches on a NASA probe that will travel closer to the sun than any mission before.